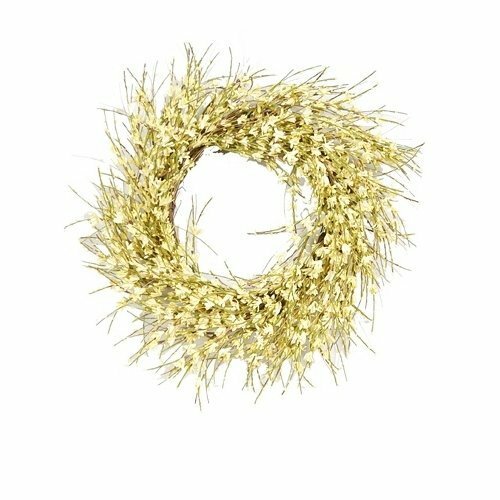 Fantastic Craft 20" Yellow Forsythia Wreath. Beautifully designed and crafted home decor accent piece that helps portray life, warmth and elegance for any season. Measures 20". Use as a decorative indoor accent piece for any room. Adds a touch of homey-ness to any door or entryway . With natural colors and texture to create a 3 dimensional design come to life. Great housewarming gift for family, friends, neighbors and acquaintances.